A new K9, one of the few in the country that has been trained to sniff out electronic devices, has joined the Williamson County Sheriff’s Office. K9 Remi will assist WCSO investigators who are working on the Internet Crimes Against Children Task Force (ICAC), which the WCSO established last year. Remi will also be used to detect contraband cell phones that may be smuggled into the Williamson County Jail. And, she will participate in presentations about internet safety and cyber-bullying at schools and serve as an ambassador for the Task Force. Nashville K-9, LLC. purchased, donated and trained Remi at no cost to taxpayers. 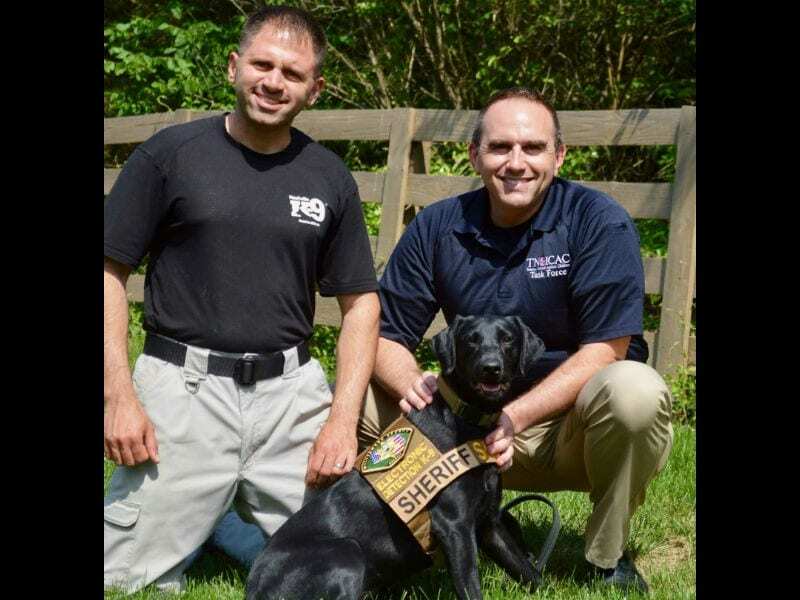 Remi and Detective Eaves began training at Nashville K-9 in December 2017. Nashville K-9 provided a certification for Remi that includes searches in suitcases, vehicles, furniture, clothing, jail cells, and more.